Although Kera Kollmorgan loves to take care of her grandson, three month old, Micah, she is disturbed when his mother Danette does not return when promised. Kera is even more disturbed when Danette’s cell phone goes unanswered. Kera’s son Nathan was killed in Iraq and never knew his son Micah. Kera is always glad to pitch in and help but when Danette’s absence caused her to miss her shift at Planned Parenthood she couldn’t help but feel that something was very, very wrong. Kera first attempted to contact Detective Wade Jackson. Detective Jackson and Kera had been in a relationship for sometime and Kera was sure he could help her find Danette. Detective Jackson was unable to answer her call because he was at a doctor’s appointment checking out a medical condition he had tried to ignore for sometime. When Jackson finally received Kera’s message he made a trip to the office of the psychiatrist that Danette had planned to visit. The doctor verified that Danette had been there but made no mention of where she might be going. Elle Durham also contacted the police. She was very upset about the fact that her daughter Courtney was missing. Courtney is the direct opposite of Danette. Courtney comes from a prominent family. Her father, Dean, now deceased, owned a good part of downtown Eugene, Oregon. Courtney enjoyed every advantage and tended to do as she pleased with not much regard about how other people felt about it. Elle Durham insisted that Courtney’s disappearance receive first priority so Jackson is placed in charge of the investigation. This leaves Kera to carry on her own investigation into the disappearance of Danette. Sellers keeps the reader guessing as the investigations uncovers a business that will commit any crime for money and a witness that won’t leave the house. 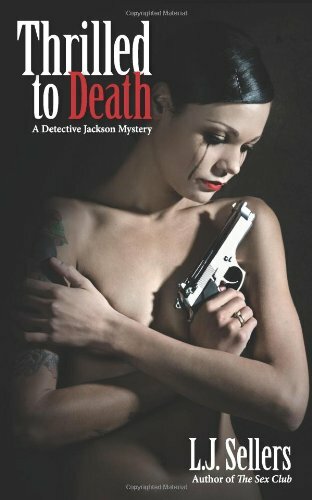 This is the third book in the Detective Jackson series. Try all three and get to know Sellers wonderful characters.